Announcement Welcome to the shop. 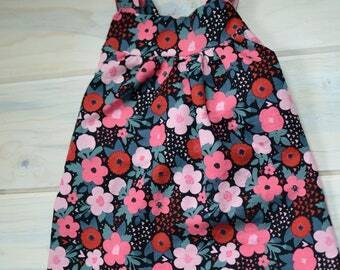 There are lots of ready to ship items as well as a wide variety of create your own fabrics. The create your own section items will take 3-4 weeks for production time. I purchased the "Mystic Creatures" Minky crib sheet and big cozy blanket and I could not have been more pleased! Not only was the design absolutely beautiful, but the items were soft, plush, and well-made. It makes a lovely complement to my granddaughter's crib. I will definitely be ordering more items from Paisley Pandas! Super soft, well made, and fast shipping. This is my second pair purchased, and I love both of them. Thank You. Adorable and great quality. Great for catching drool or spit-ups. Bought these as a gift and can’t wait to see them on my nephew! I love how they will last him a long time with the “grow along” design. Mermaids and unicorns every little girls dream ready to ship in the shop!! More of these double minky blankets coming in the new year! Bedding Set on sale this week for 20% off!!!!! Ready to ship out. Use code CYBER2018 at checkout. Check back on June 18-22 we will be having a sale ready to ship items! Shorties now available in the shop. Turn around time is about a week. Go check them out!! My boss looking on making sure I'm working on the new things coming to the shop. Inspired by my new little man I enjoy creating modern baby bedding and crochet goodies. Hi! I'm Tracey. While decorating the nursery for our upcoming baby I couldn't find modern crib bedding or blankets so I pulled out my sewing machine and my passion for sewing came alive again. I also enjoy crocheting blankets, toys and booties. Now that our little man has arrived I continue to sew and crochet to stay creative while spending my days with our little munchie. Sewing and crocheting baby goodies. Modern blankets, to classic baby booties. If there's something here you would like to see send me a message!